What are the best place to visit in Canada ? Canada, the largest country in North America, is popular worldwide for being blessed with the awe-inspiring scenery, vibrant cities and its welcoming atmosphere. Tourists from worldwide locations visit this place again and again as its vast land encompassing magnificent mountains, outstanding coastlines, virgin forests, capacious prairies and Arctic tundra enchant them. It is practically next to impossible to visit each attraction of Canada in a single tour. Rather than a dream to see everything Canada has to offer you, why not explore some 10 best places here whose visit would turn momentous for once-in-a-lifetime experience for you. Each tourist place in Canada has something new and unique to offer. It thus becomes a draconian task for the travelers to even enlist 05 best places. Our travel specialists have enlisted 5 such places after thorough research that combine awe-inspiring sceneries, vibrant cities, natural wonders and its welcoming atmosphere for the visitors at least once in the lifetime. The sophisticated city that developed out of the Canadian West, Calgary is situated between the Canadian Prairies and the foothills of the Canadian Rockies. It gets flooded by the tourists throughout the year for its attractions, nightlife and appealing national parks. Culture of this region is diverse as over 25 per cent of those living in Calgary were born outside of Canada. The capital city of Canada, Ottawa is a compact, clean, cleverly planned center of culture and politics. It is home to many recognized attractions; including the Parliament Hill, ByWard Market and the UNESCO Rideau Canal. Diverse festivals, performing arts and culinary scenes make it Canada’s seething and most attractive tourist destination. In addition, it also offers distinctive shopping, dining and nightlife experiences across the Capital. Located between the Coast Mountains and the Pacific Ocean in British Columbia, Vancouver is home to many attractions such as Capilano Suspension Bridge, Vancouver Aquarium, Stanley Park Horse-Drawn Tours, Dr. Sun Yat-Sen Classical Chinese Garden, etc., that make this place a must see for everyone. Yummy food and diverse culture always augur people to consider this place for their next tour plan. Home to the country’s largest city, Toronto is favored for beautiful natural areas and important cultural institutions. The city contains some of Canada’s most important museums, waterfalls and galleries. Tourist inflow remains round the year due to widespread availability of restaurants, souvenir shops, casinos and high-rise hotels. Montreal gets flocked with the tourists throughout the year for housing several museums, parks and tourist attractions. A fact remains true that a visit of Montreal is not complete without experiencing its captivating art, diverse culture, yummy food and uncommon architecture. This city can be reached anytime due to its welcoming atmosphere. If you are planning to visit Canada, you need to prepare yourself with valid entry documents. 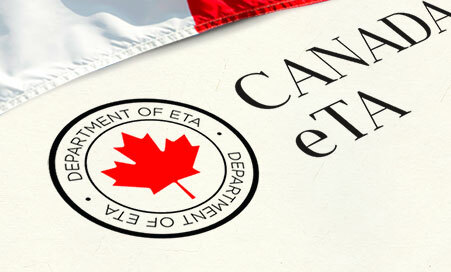 Foreign nationals from the 52 enlisted countries need to obtain eTA (Electronic Travel Authorization) before entering to this country. You should apply for it online and get approved. There are several professional visa agencies including ours that help potential tourists to obtain their eTA. We can help you in getting your eTA application approved within minutes. Previous Post How can I get my ETA?